Amati 7389 Fast Clamp set! 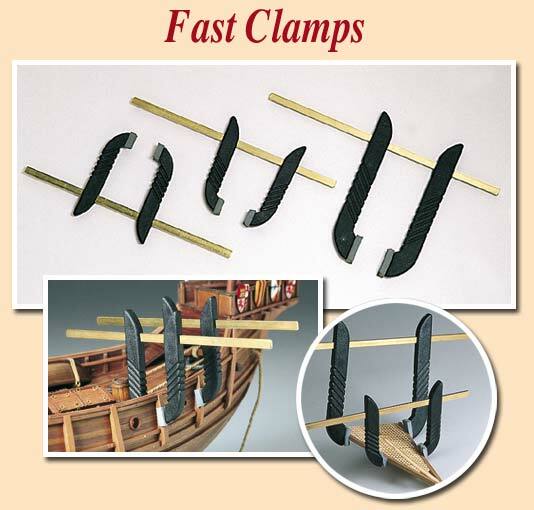 This interesting clamp set will help you with the gluing of plastic, wood, metal, and resin kits. The set includes three Fast Clamps in two different sizes and special anti-slip material to put on both jaws for and easy use of the tool. The Modeller’s Workshop recommends that you buy at least four sets of these clamps if you want to use them as your primary clamping device.